Phillip Hetherington, is a Principal at Garvin & Cousens and has been a part of the team since 1985. Phillip grew up in the Tamworth area and was educated at Farrer Memorial Agricultural High School. Upon finishing school, he went on to jackaroo in Penola, South Australia and Longreach, Queensland before returning to Tamworth. Whilst studying for his Stock & Station and Real Estate licenses, Phillip worked for a local rural merchandise outlet in Tamworth. In 1985, Phillip joined Doug Smith as a partner in our firm, buying Ken Falkenmires shares, Ken had been the G&C bookkeeper for some 40+ years. Doug Smith retired in 2012 and that same year our current, fellow Principal Andrew Warden came in as a partner. Naturally, the livestock industry has seen some big changes over the years since Phillip became an agent, the biggest being the computerisation of the entire process for buying and selling sheep and cattle at the sale yards. Phillip is married to Jane and they have two children, Sarah, who is a Speech Therapist at the Tamworth Base Hospital and, James, has just completed his degree in Media and Communications. Phillip is highly involved in showjumping within the Tamworth district with his son James competing at a high level and has seen some great success. Phillips main role at Garvin & Cousens is all aspects of livestock and is our rural property consultant. 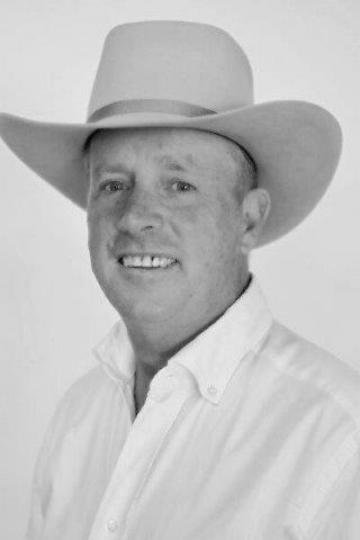 Having so many years under his belt as an agent and a member of the Garvin & Cousens team, Phillip has a great knowledge of Tamworth, its surrounding districts and the livestock industry. Ideal small property with highway frontage that in past years has been well supered and improved. Would suite person wanting small breeding property. One of the best blocks in the Tamworth District, being only the 2nd time it has been offered for sale as it was purchased from Goonoo Goonoo Station in 1979. Originally it was Goonoo Goonoo Stations bullock fattening paddock which says it all. Corora is located just 37km from Tamworth. This is an ideal starters block, subdivided into 4 paddocks. Equipped bore which pumps to tank and retriculates to 5 troughs. Also, Boiling Down creek runs through the property. Approximately 60 acres is contoured and able to be farmed, of good self mulching soil. Power connected along with a new, two bay, lock up machinery shed. A great opportunity to build a dream home on a picturesque block. Quality Brick & Colourbond home in new condition. Northerly aspect overlooking parkland. 3 bedrooms all with built ins, and ensuite in main. Open plan kitchen, dining & family room, separate lounge & bathroom. Electric stove and gas heating with solar hot water. Home has no steps, purpose built for retiree, on large block. Only 7 years old in immaculate condition, being just freshly painted. Vacant ready to move in to. Quality small acreage close to Tamworth with 2 homes giving a rental income of $550 per week. Located close to Tamworth sale yards for the trading of livestock. Glenwyck is a very well improved property with water being a feature. Set in a very peaceful area with all improvements in good condition. Owner looking to retire after years of work improving the property.